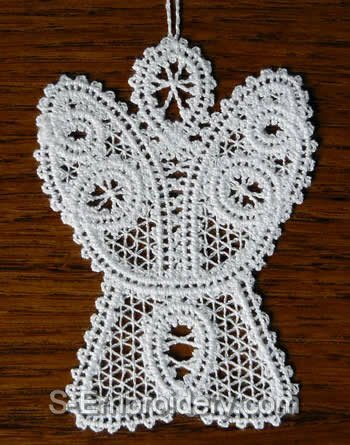 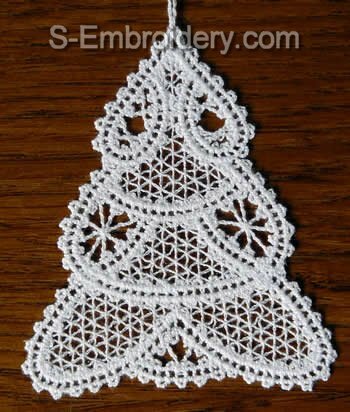 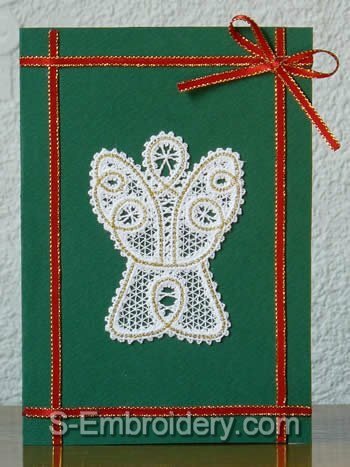 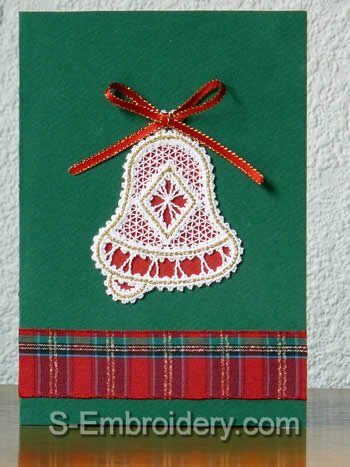 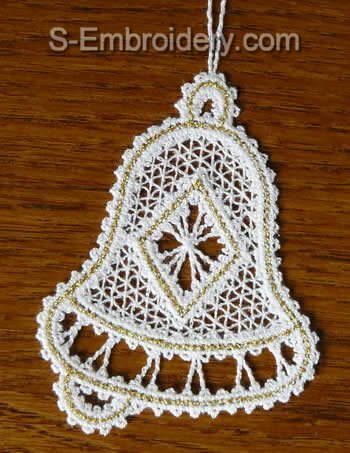 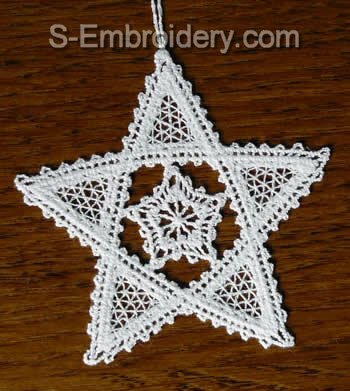 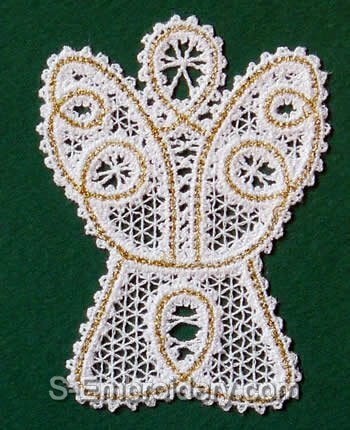 A set of 5 Battenberg lace Christmas ornaments. 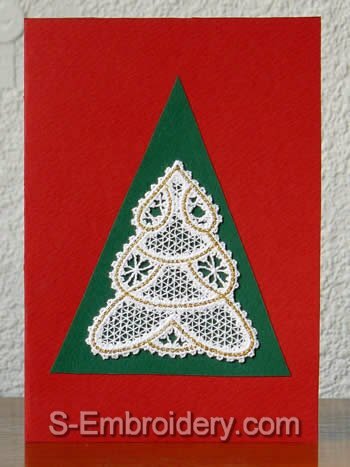 Each design is delivered in 2 versions - one for decorating your custom-made greeting cards and one with a loop for hanging on the Christmas tree. 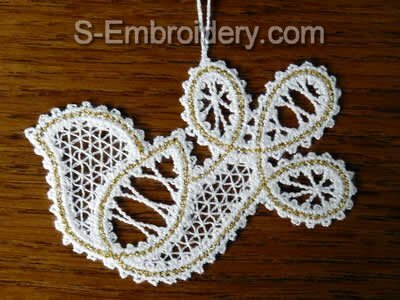 Each design versions is available in 2 or a single color. 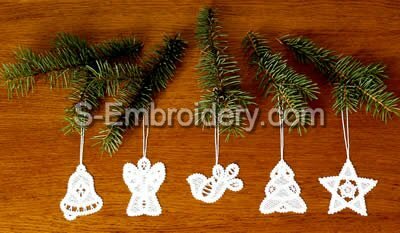 So, you receive 20 machine embroidery files.